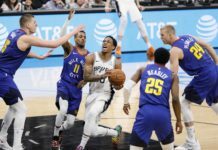 A career high from Gary Harris and the Mason Plumlee coming out party fueled a 129-109 home win for the Denver Nuggets over the Brooklyn Nets on Friday. The Nuggets offense was firing on all cylinders, thanks to Gary Harris’s 25 points. Denver led after the first quarter and never looked back. 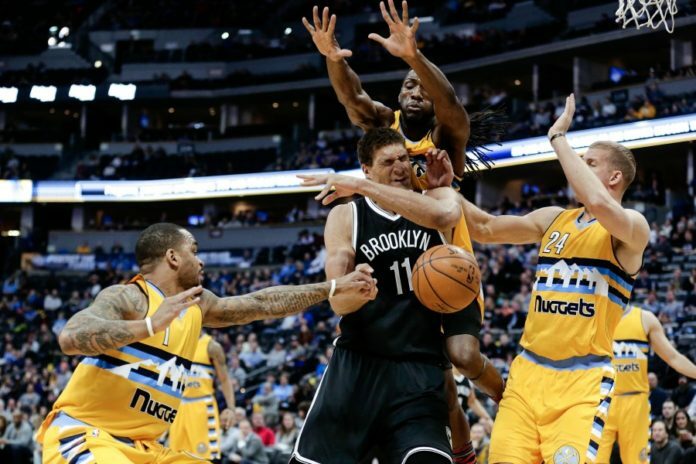 Scoring at will against the inept Nets defense and locking down on their own defensive end, highlighted by a gritty third quarter, the Nuggets took care of business at home, dealing Brooklyn their 15th loss in a row. In a season where the Nuggets seemingly continue to go back and forth with wins and losses, we’re getting down to crunch time. With less than 25 games to go, this team may be stuck in neutral in the standings, but they’re mentally beginning to kick it into high gear. Coach Malone has referenced the playoffs on more than one occasion and the players understand that competition is on their heels for the final spot in the Western Conference. Taking care of business at home is an absolute must to stay in contention. Fueling tonight’s push of motivation for the final stretch run, was the newest Nugget, Mason Plumlee. “I thought Mason Plumlee was fantastic tonight, almost had a triple-double himself…This is the Mason Plumlee we envisioned. He was so disappointed in his performance last night [Thursday], and he told one of our coaches that I’m going to be a lot better tonight. 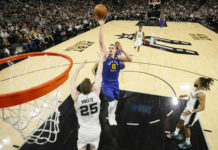 And he was, not just on offense, but on defense, communicating, being in the right places… Guys love playing with him” Malone said of Plumlee, who finished with 12 points, 12 rebounds and eight assists off the bench. 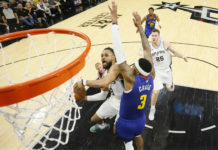 After a loss to the Sacramento Kings on Thursday night, this put major emphasis on Friday’s game to take care of business and that’s exactly what Denver did. “I think we were all disappointed in our effort last night… And if we wanna be a playoff team, no disrespect to Brooklyn, but this is a game that we have to win” said Malone. Wilson Chandler put in 24 points off the bench, as the Nuggets pushed their season total to 18 games with 120 points or more in a game. Denver sits one game ahead of the Sacramento Kings for the eighth and final seed in the Western Conference, and will host the Memphis Grizzlies on Sunday, continuing this current run of six of their next eight at home.